Exterminate is an immersive augmented reality shooter-like game, developed for the HoloLens. 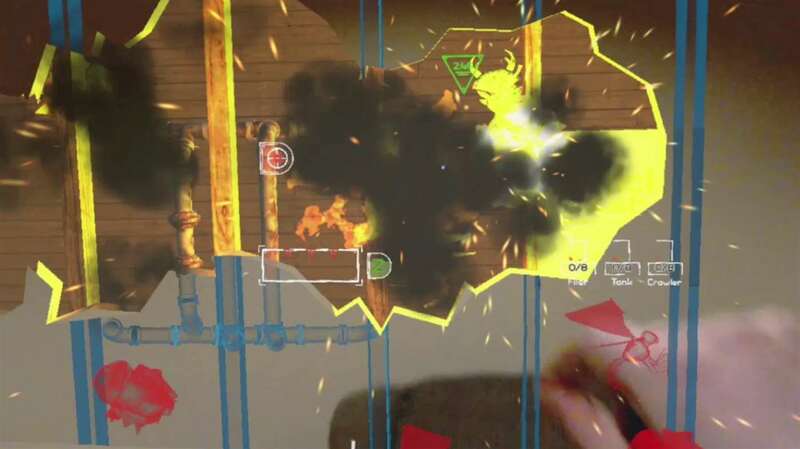 The game adds destructible virtual content to a player’s environment, constructed with information gathered from the user’s actual surroundings. The player must extract insects from their walls before time runs out. The game features five levels of progressing difficulty, and an intense boss fight at the end. Exterminate was co-created by Nolan Scobie and a technical art contractor for Efficiency Lab, and is available for download on the Microsoft app store. Procedurally generated levels that adapt to your physical surroundings. Semi destructible game environment, allows you to virtually blast open your own walls. Five levels of increasing difficulty, each featuring new enemies with unique gameplay mechanics. Three hidden power-ups which grant unique superpowers. Full narration and sound effects. Includes adaptive narration for tutorial level. Persistent level saving and configurable game options. Agent: your duty is to eliminate a growing threat to mankind. You are the last defense against the inhuman threat. Welcome to being a top secret exterminator. Armed with your super secret laser bug extractor, you’re ready to crush public enemy #1: the bugs. In Exterminate you’re set loose to end an infestation of creepy crawlies before it’s too late! Use advanced equipment to destroy walls and get the bugs. Remember: you’re on a tight time limit, and if you’re not fast, the bugs may just take over the world!